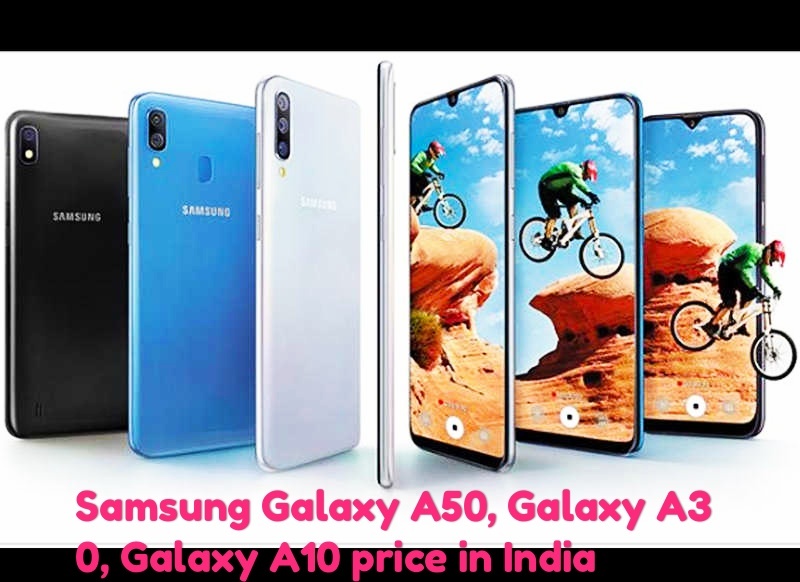 South Korean company Samsung has launched its three new smartphones Samsung Galaxy A50, Galaxy A30 and Galaxy A10 in India. 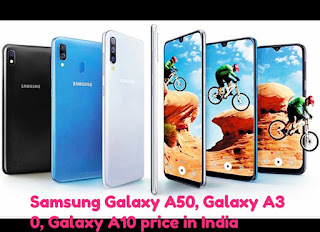 Samsung Galaxy A50, Galaxy A30, Galaxy A10 price in India. The Samsung Galaxy A50 has a 6.4-inch full HD + super Amoled Infinity U screen, whose resolution is 1080x2340 pixels. The Galaxy A50 has been introduced in 4GB RAM / 64 GB internal storage and 6GB RAM / 128GB internal storage variant. Its memory can be increased by 512GB via microSD card. This phone, which runs on the One UI based on Android pie, has been given an octa-core processor. The phone that comes with an in-display fingerprint sensor has a battery of 4,000 mAh. There are three rear camera setup in the camera. The phone has 25 megapixels (F / 1.7 archer) + 5 megapixel (F / 2.2 aperture) + 8 megapixel (F / 2.2 aperture) rear camera with 25 megapixel front camera with F / 2.0 aperture. Like the Samsung Galaxy A50, the A30 has a 6.4-inch Full-HD + Super Amoled Infinity U screen, whose resolution is 1080x2340 pixels. The phone is 19.5: 9. The phone has been introduced in the 3GB and 4GB RAM variants with the octa-core processor. Internal storage of 32 GB / 64GB is provided, which can be increased by 512GB via microSD card. This phone, which runs on Android UI based on Android Pie, has a 4,000 mAh battery with in-display fingerprint sensor. Talk to the camera, the phone has a 16 + 5 megapixel rear and 16 megapixel front camera.